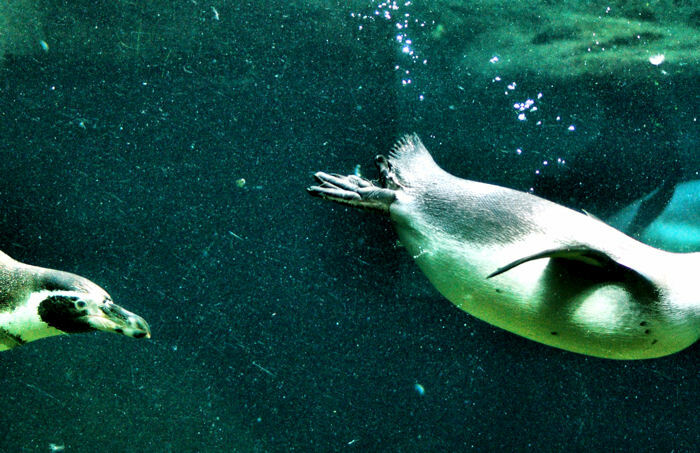 These penguin just seem to can’t get enough of swimming after each other. Funny and cute animals and damn good swimmers (not so good walkers). This reminds me of tessellations I used to do in Advanced Math classes.